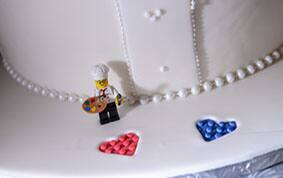 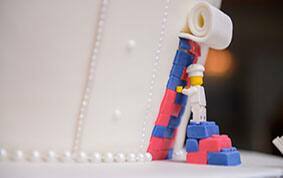 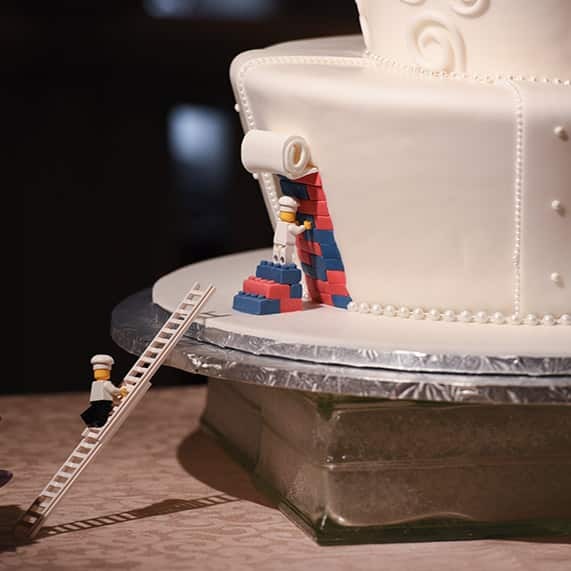 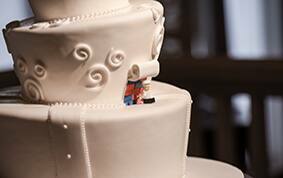 My two boys would absolutely love today's LEGO wedding cake! 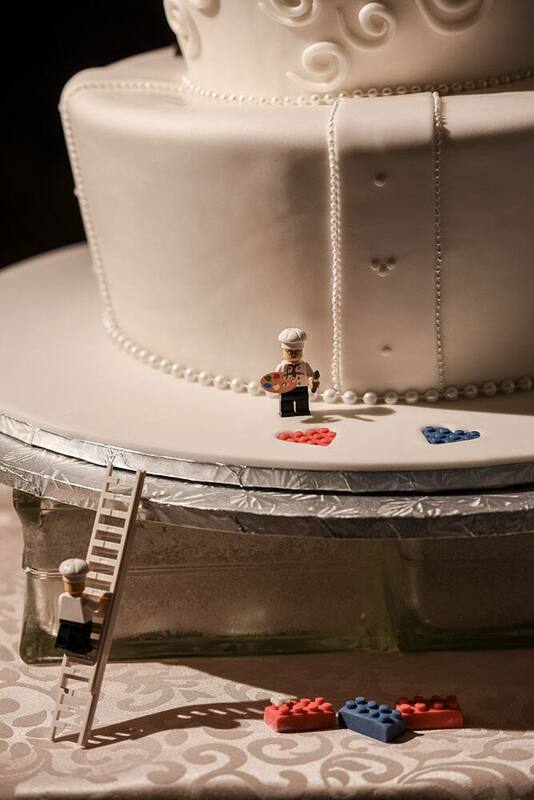 While still maintaining a traditional, all-white style this couple found a way to show off their personality and add something unique to their cake. 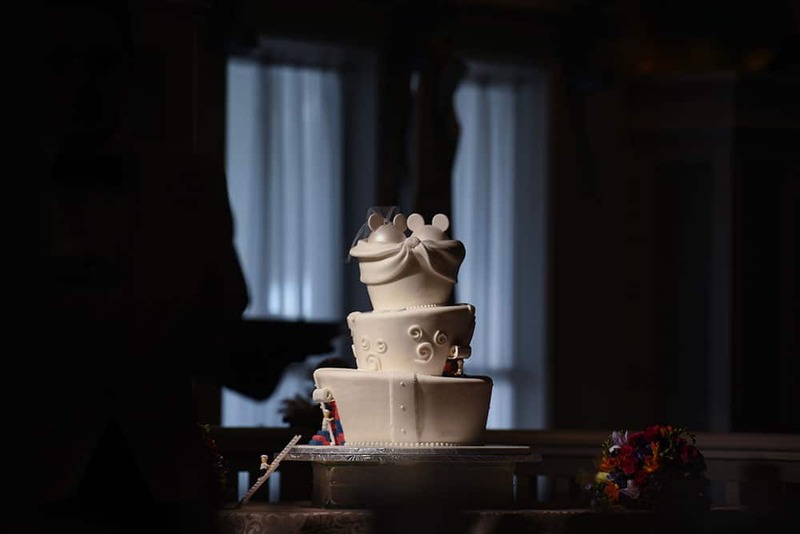 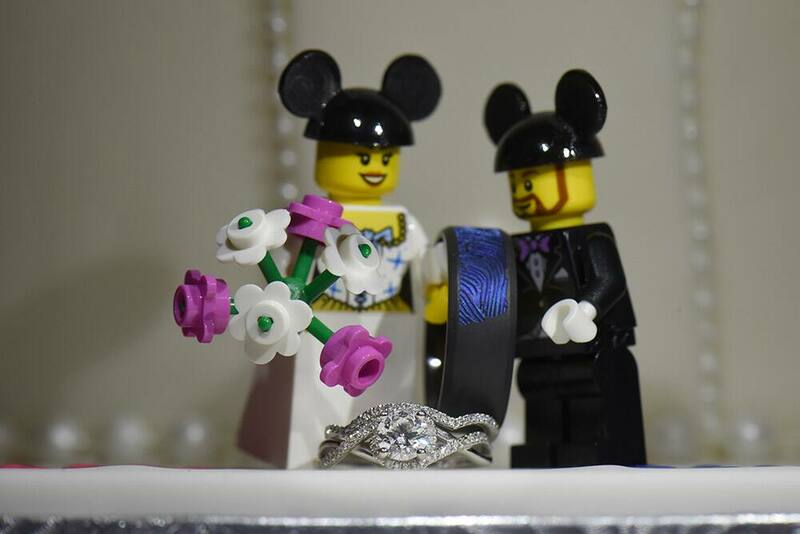 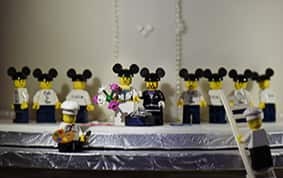 Mickey Mouse ears bring in some Disney magic while tiny LEGO "bakers" appear to have spent days building the perfect cake brick by brick...and the result is a perfect fit.